Excerpts from the May 1949 issue of New Outlook (Vol. 2, No. 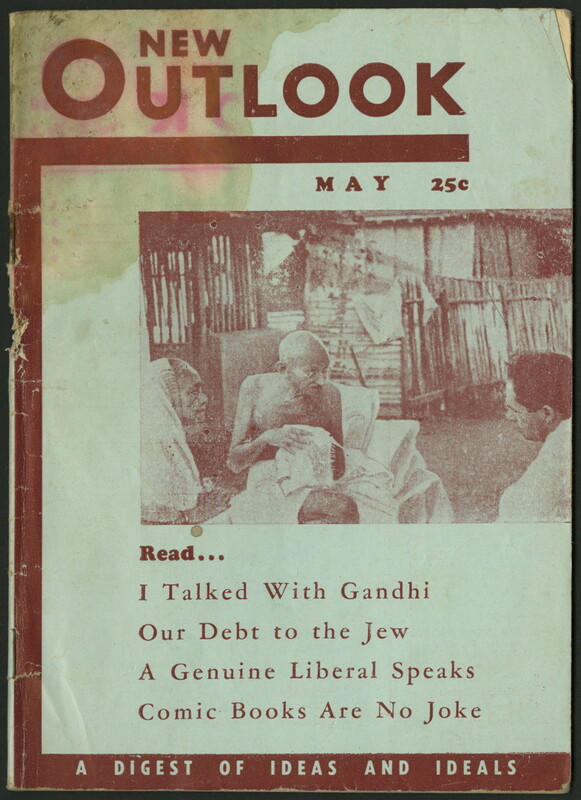 4), published by the Los Angeles-based organization New Century Foundation. 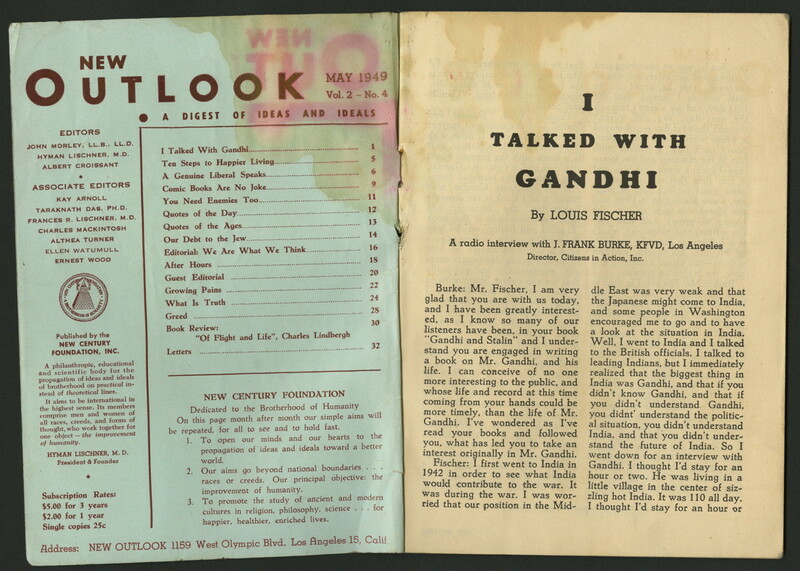 The issue contained a cover story titled "I Talked with Gandhi," which features an interview of the journalist Louis Fischer by television reporter J. Frank Burke. 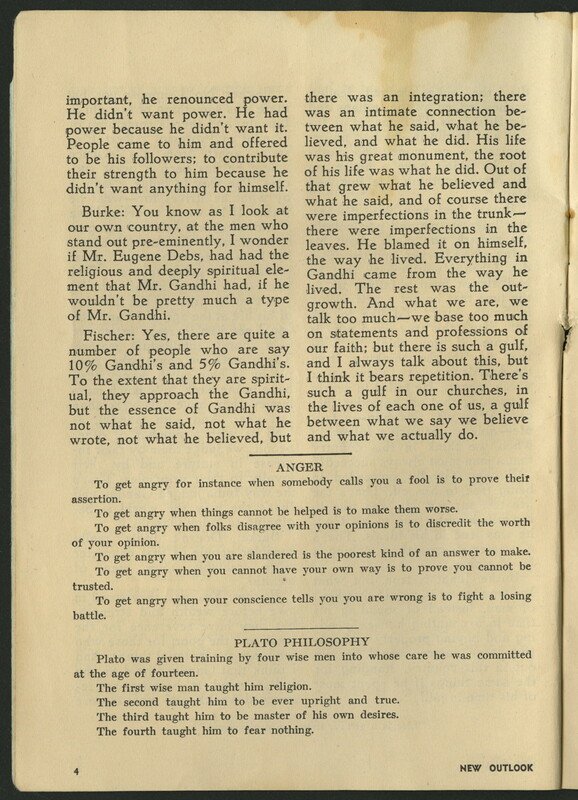 Fischer had met Gandhi in 1942, during a visit to India, and published a book titled Gandhi and Stalin in 1947. 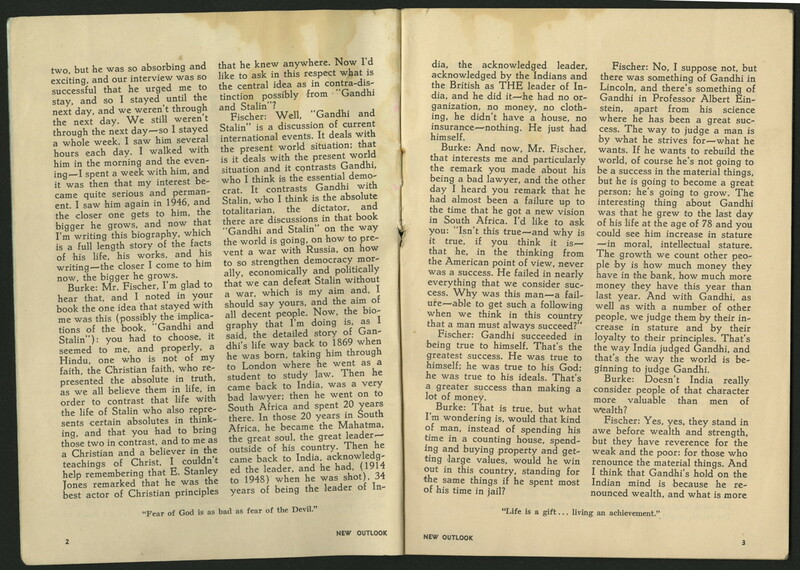 Publisher: New Century Foundation, Inc.